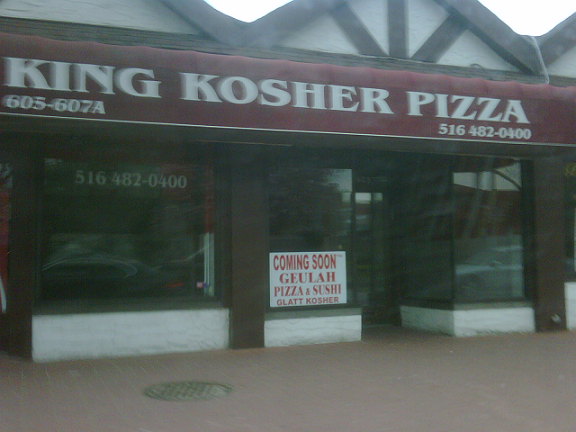 Geulah Pizza in Great Neck? | Thanks a Glatt! I met the new owners a few days ago. They appeared to be a religiuos couple and have applied to VHQ for a teudah. They are going to begin renovations quickly with an objective to be open for Lag B'Omer. I can't imagine this being the case however as they have significant work to do involving improved ventilation in the kitchen and air conditioning in the dining room. They also indicated that the seating in the dining area will be greatly improved and it will be much more of a real restaurant than a pizza parlor. yep they opend a nice place there its sushi pizza falafel its a dairy resturant its beautiful inside and the geulah slice is amazing ! !